We work with best selling, award-winning authors, entrepreneurs and new author voices. We are honored to bring these transformational stories to the marketplace through the author support services. Amazon Best Seller for Religion/Spirituality. Diagnosed with stage four germ cell ovarian cancer while on summer vacation, Kate’s world changed overnight. Then there was her recovery from multi-system organ failure that doctors said could not explain medically. Kate’s story, as the title suggests, is a collection of candid reflections from her life before, during, and after a Vatican approved miracle. International Award Inner for Personal Transformation. The Art of Self-Transformation, A Guide to Awakening provides a pathway that empowers readers to live life with passion and discover one’s full potential. Real life stories, wisdom lessons and reflection pause-points are meant to inspire, provide insight and encourage balance in our lives. Winner of the Amazon Best Seller for Aging, Parenting. Horsewoman and freelance writer Ann Campanella moves back to North Carolina after being away from her family for several years. Ready to start a family, Ann’s foundation is shaken when she experiences multiple miscarriages at the same time her mother, who lives on the opposite side of the state, begins showing signs of Alzheimer’s. A Readers' Favorite, Next Generation Award Winning Title and best seller. Amazon Best Seller for personal growth/spirituality/self help, and Pinnacle Award Winner, Live the Life of Your Dreams is the collective result of interviews with women from all over the country to uncover first-hand what inspires them in their daily lives and how they tap into this inspiration. Download a sample chapter or the sample audio book. Amazon Best Seller for Special Needs/Parenting. 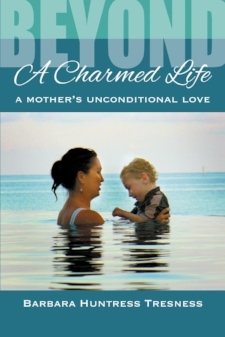 An inspirational memoir about a mother’s love for her special needs son; an illustration of a triumphant spirit and of overcoming seemingly insurmountable challenges. Featured in Times Square in NYC. From caretaker to advocate, author Barbara Huntress Tresness wants to impart a sense of solidarity and hope for readers who may have faced similar challenges. 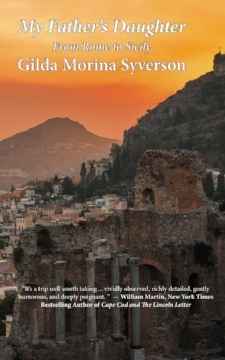 Amazon Best Seller for Sicily/Italy Travel as a Memoir, New England Book Award Winner and Reader’s Favorite Award Winner. A captivating memoir as one woman sets to uncover her past through exploring her geographic roots within the hills and valleys of Italy. Nominated for CNY Book Awards for Inspiration, a book of hope for anyone dealing with life’s struggles, Joyful Journeys, Sacred Pauses with God illustrates the transformative powers of love, humor, and faith in facing everyday challenges. Moms love this book as Susan sparks reflection and encourages daily joy. Listen to her recent podcast interview. Tom Pearson cared for his wife Lynne from the time of her diagnosis of early on-set Alzheimer’s at age 50 until her passing at age 63. He wrote Please Don’t Forget Me to honor his brave wife and to help others facing similar challenges. So what are guys doing, Inspiration for Making Changes and Taking Risks for a Happier Life? Award winning journalist and Finalist for International Book Awards in Self Help and Relationship, So What are the Guys Doing asks Is this as good as it gets? Can I do better with my life? David Figura ponders that questions through this heartwarming look at mid life for men. Nominated for People’s Choice Awards in Central New York. 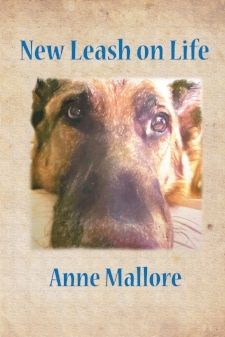 When faced with the devastating results of a failed business, Anne Mallore was able to take a God-given gift and turn it into a “New Leash On Life” for her and her family. Winner of People’s Choice Awards. 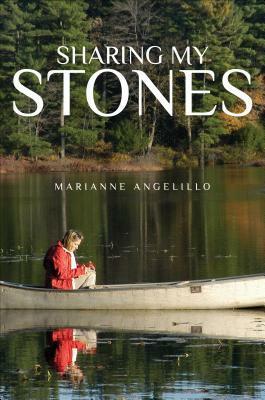 Sharing My Stones is about the untimely death of her seventeen-year-old son in a drunk-driving crash and the excruciating trudge to go on. With courage, strength, and grace, Angelillo takes us on her family's difficult journey and ultimately shows us the transforming power of grief, love and faith. A bestselling title - At this time in history, many restructurings are taking place across the globe; old outdated systems that no longer work for our societies are crumbling and new, innovative systems are being created. Now is the time of a massive shift in consciousness for the planet and Elizabeth’s educational and inspirational messages are perfectly suited to guide people to positive ways of thinking and belief systems that support these important shifts. Our Titles are Available at Amazon, Barnes and Noble and Indie Bound and for signed copies, contact authors directly. Laura Ponticello, Ann Campanella and Gilda Morina Syverson with their awarding winning books.